Duncan H. Adams practiced as an Atlanta probate attorney for several years and started his own law practice over a decade ago. Having accomplished a prosperous career practicing in estate and trust law, Mr. Adams retired from his full time practice He continues to play an active role in law as Of Counsel to former business partner, Kasey Libby, who is another top Atlanta probate attorney. Duncan is a graduate of Emory University School of Law, in Atlanta, Georgia, and a graduate of the University of Georgia in Athens, Georgia. As a graduate of the Emory University School of Law, Mr. Adams began to integrate himself within the Atlanta metro area legal communities from the inception of his legal career. As such, Mr. Adams has been a recognized member of the Atlanta metro area legal communities since 1995. 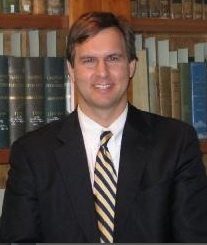 Attorney Adams gained his legal skills working for a larger Atlanta law firm. Recognizing that clients wanted personalized attention and legal advice that delivers cost effective results, he left the large firm setting and set up shop as a solo practitioner. As clientele and demand for legal services steadily and rapidly increased, Mr. Adams founded a new firm to handle those needs. Mr. Adams now supports Kasey Libby in his role as Of Counsel with his years of experience, unmatched legal knowledge, and unique perspective of the practice of law.